That is, if you were fortunate enough to get an invite. 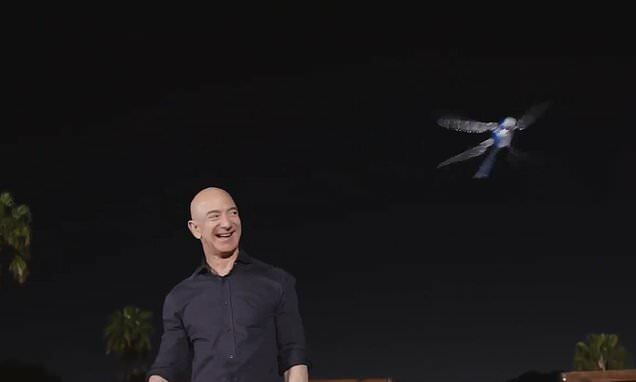 While last year's invite-only conference, held in southern California's Palm Springs, produced striking images of Bezos strolling with a robotic dog designed by Boston Dynamics, this year's buzz has come straight from the stars. Among the attendees this year is actor Mark Hamill, who portrayed 'Star Wars' protagonists 'Luke Skywalker' in the films' original trilogy. As Hamill, who recently revived Skywalker for the latest iteration of the Star Wars franchise, mingled with guests, the conference's other attendees showcased their newest and most exciting revelations in the fields of robotics, artificial intelligence, machine learning, and more. ‘Mars2019 – where dreams come true!’ Intuition Robotics CEO Dor Skuler tweeted alongside a photo of himself with Hamill.